Aria Telecom Solution Pvt. Ltd. is IVR service provider in Delhi NCR, India. We provide customize IVR softrware to automate customer service and support. Interactive voice response system enables you to interact your communication system over the phone. We work to make simpler business communication process by automating it. To support society and nation, we are engaged in providing IVRS Solution for Recruitment Services for Indian Army services to the defense authority. The machine has pre-recorded questions related to qualification and profile question which are recorded for further short listing. The machine is manufacturer using advanced technology and quality approved raw materials. Furthermore, other clients can also avail the recorder using at nominal prices from us. 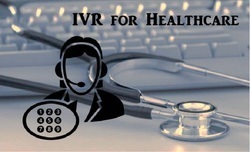 To help the new generation grow strong and wise, we are offering IVRS Solution for Help Line to the service provider. This recorder collects entire data related by asking several pre-loaded question. The callers’ provided information is stored and later analyzed by the professionals. From registration to complaint, entire information is collected and recorded by the system. The data can be accessed online or by using network access. Clients interested in social service can get this recorder from us at cost effective prices. To support society and nation, we are engaged in providing IVRS Solution for Aarogyam services to the health authority. The machine has pre-recorded questions concerning to registration, health issue and profiling. The machine is manufacturer using advanced technology and quality approved raw materials. In addition with, other clients can also avail the recorder using at nominal prices from us. The machine offer crystal clear voice message and record the voice message with utmost clearly. Thus, the data recorded never go waste or useless. Aria Telecom Solutions Pvt. Ltd. provides Interactive Voice response solution to efficiently and effectively handle your automated communication process. An IVR system helps to navigate proper department and provides self-service for client or customer on phone system. 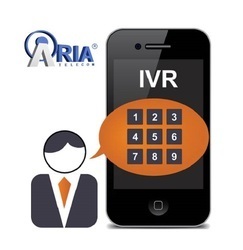 Aria’s innovative IVR system is ideal for inbound and blended processes like customer support and collections. We build IVR software for better customer relationship. To grow small town to metros, we are providing IVRS Solution for Hapur Development Authority to the development authority. This IVR system has the programming that asks questions to the caller. It can record hundreds of calls per day. The data is provided to the development authority for analysis. There questions asked are high specific and to the point. Furthermore, other non profitable organizations can get the IVRS from us at nominal prices.